Sony announced the Xperia SP and L a couple of days ago. While the devices slipped under my radar during the initial announcement (hei, my life doesn't revolve around phones), it was the chance encounter with the new devices at the Xperia Z launch party in London on Tuesday that finally made me notice. Of the two devices available for hands-on, the SP was the most impressive due to its great value of money when it finally gets launched in the next couple of weeks. Featuring a Snapdragon SoC with dual core 1.7GHz Krait processor and Adreno 320 GPU, the SP is a cutting edge device for those not willing to fork £500 for a phone. It has a 8 megapixel camera with backside-illuminated sensor, all the usual wireless stuff associated a 2013 phone should have including NFC (which will work with Sony Bravia NFC remote controls) and LTE (model-dependent). It will be available in three colours. The 4.6" 720p display is a clear step up from the Xperia S, and while the pixel density (319ppi) won't blow your mind, it will still challenge your eyes. Unfortunately, the viewing angles is limited again, much like on the Xperia Z. At 155 grams, the SP is rather hefty, but isn't too uncomfortable to hold. The design is a clear evolution over last year's NXT line, conservative and yet has enough design cues to stand out from the sea of Android me-toos. My biggest gripe with the Xperia S was its rather annoying touch-(in)sensitive buttons, which has been fixed here as the buttons are now part of the display. With the SP, the transparent notification strip is moved to the bottom. As it is visible from the backside as well, the strip acts as a neat notification system which will work whichever way your phone is facing. It is also nice to see Sony retaining the hardware camera shutter button, a feature that is lost of every Android manufacturer. The power button is also conveniently located on the side. Overall, the SP feels rather solid, thanks to the liberal use of metal. 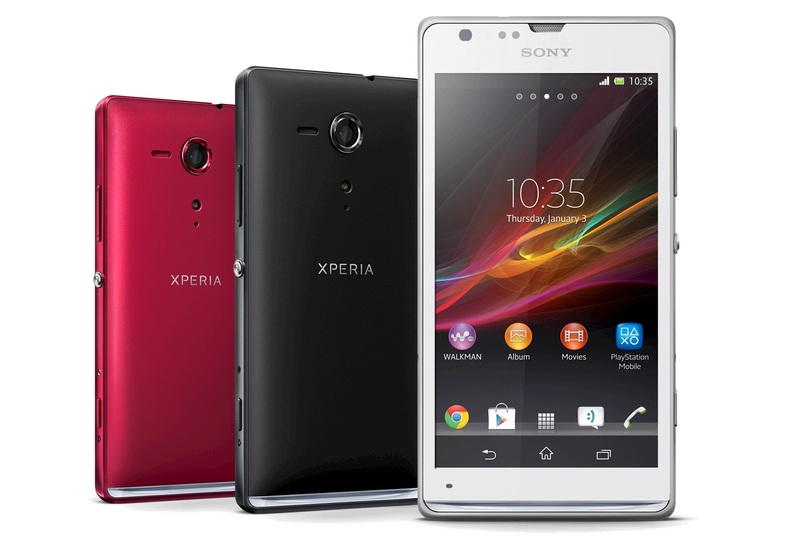 I actually prefer the SP more in my palm in comparison to its more expensive cousin, the Xperia Z. This is largely thanks to the smaller frame. Also on display was the new Xperia Tablet Z. Just as it sounds this is basically a tablet version of the Xperia Z, as it shares virtually the same specifications as the Xperia Z bar the 8 Exmor-R megapixel camera (the Z has a 13 megapixel camera). Like the Xperia Z, the Tablet Z is also water resistant (ah, the realities of watching 24 anywhere and anytime you want is finally here), comes with a Qualcomm Snapdragon Pro with quad core Krait processor and Adreno 320 GPU, 2GB RAM and razor thin body. The 10.1" display has a resolution of 1920x1200, with a much more usable 16:10 aspect ratio (finally!). Thankfully, unlike the Xperia Z, the backside isn't made of glass. Sony has priced the 16GB Wifi version at £399 with £50 more for the 32GB, putting the tablets on par, pricing wise at least, with Apple's full size iPad (4). The LTE version will cost £499, again the same as the equivalent iPad.